As parents, we often enjoy introducing our kids to the traditions and hobbies that created our own childhood memories. This often includes favorite toys and brands that were popular “back in our day,” and many of those brands and retail outlets from our generation are still going strong. Such is not the case for one retailer that recently closed its doors after 50 years – but is a comeback in the works? Toys ‘R’ Us, an iconic retailer for generations of kids, filed bankruptcy this past summer, closing all brick-and-mortar retail stores and discontinuing online sales. The company gave several reasons for the shutdown, but most obvious was the competition and convenience of discounted online shopping from sites like Amazon. It was a sad announcement for those of us who have fond memories of trips to our local Toys ‘R’ Us location to pick out a new treasure – and who could forget when the giant holiday catalog came in the mail and we dreamt of what we would find under the Christmas tree? The retailer spent the summer of 2018 slashing inventory prices, and parents finally accepted its demise and said our final farewells. 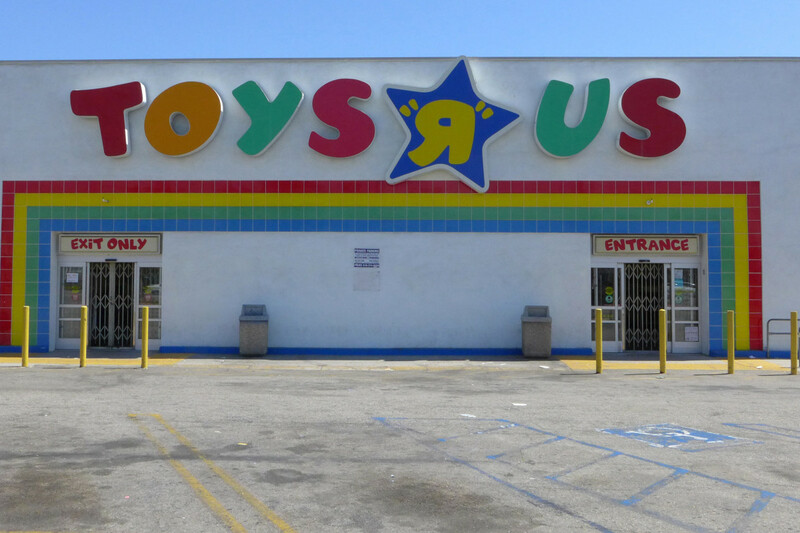 In bankruptcy court this past week, however, the group of lenders who holds the rights to the Toys ‘R’ Us name and any remaining assets discussed how they might regain some of their investment by reinventing the company to its former glory. “The company did generate operating profits — and without debt, its profitability would be easier to maintain,” said Seth R. Freeman, senior managing director at GlassRatner Advisory & Capital Group in its San Francisco office. Because the so-called “intellectual property” of the Toys ‘R’ Us brand – its iconic, highly-recognizable name that was trusted and loved by generations — belongs to these lenders, they believe that reinventing the brand in a new and modern way would bring it back from the dead. In other words, there are many families out there who would be happy to have Toys ‘R’ Us back in their lives. But, the plan is not without its problems. Hundreds of retail locations and distribution centers were sold off to creditors, or property owners have found new tenants. Major toy suppliers like Hasbro and Mattel have found new partners to sell their products, and retail giants like Walmart offer low toy prices and wide variety in both their stores and online. And conservative parents were shocked when it was revealed that the company who made its profits from creating happiness for children also donated heavily to Planned Parenthood and other leftist organizations, as previously reported by Mommy Underground. Fortune also reports that Freeman says the plan to reopen retail stores in early 2019 would not be good timing from a business perspective. Lenders are looking at other options, such as using Toys ‘R’ Us’ famous jingle and mascot, Geoffrey the Giraffe, to earn royalties in some other venture. Toys ‘R’ Us stores are still in limited operation in some Asian countries, and discussions are in the works as to how that could bring in income with an expanded international venture. But some think the announcement calls into question what the real motives were for the bankruptcy. Did the company plan the whole shutdown and revival as a marketing technique? After all, many parents would be excited to see the brand make a comeback and would likely open their wallets to relive those memories. It remains to be seen what, if anything, will come of these discussions taking place during the bankruptcy proceedings, but reactions from parents about the possibility have been overwhelmingly positive. Mommy Underground will keep you updated on any news about a Toys ‘R’ Us overhaul. How do you feel about the possibility that Toys ‘R’ Us will make a comeback in the U.S.? Leave us your thoughts.